Benchmark Handicapping and Rating Based Handicapping are two hot new topics in Australian horse racing. Some of the most famous races in Australia are run under handicap conditions. 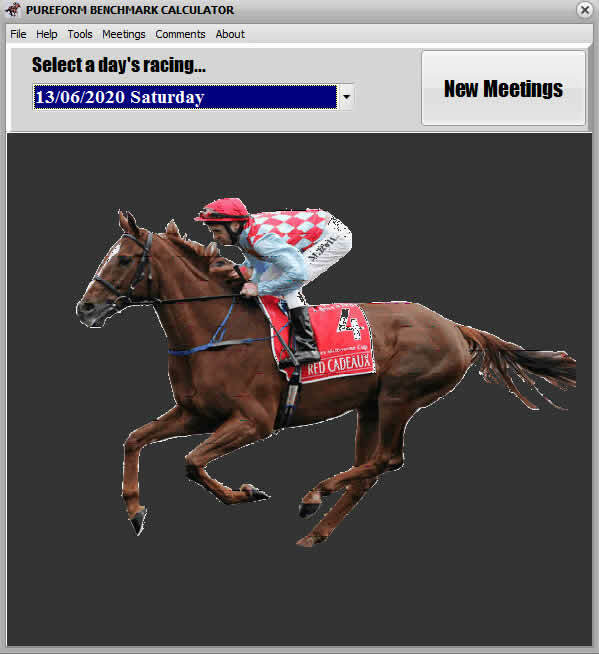 For more than a century time honored events like the Melbourne Cup and Epsom Handicap have been run and won with handicappers distributing the weights between champion and also ran to level the fields for unpredictable and exciting racing. And for what it’s worth, so far they have been doing a top job. These first class race weights have been calculated using the same methods for many years and will continue to be done in a similar way. The elite events require elite handicapping techniques what with daily press coverage and the associated pomp and ceremony. But what about the lesser races run every day? In recent years, Australian day to day horse racing has undergone various revolutions or is it evolutions in the handicapping of its competitors. These handicapping changes were undertaken to maintain the uncertainty required in most races and to cater for a larger group of moderate horses. Imagine how long horse racing would exist if the best horses were handicapped so they could win every race? Not very long. As everyone knows, in a handicap race the better horses are made to carry more weight to give the weaker runners a better chance of winning by naturally allotting them lower amounts. This handicapping is done within certain limits, that is between a maximum top weight and a minimum bottom weight and so higher weighted runners typically have an advantage. ***Some horses simply cannot carry a low enough weight to be competitive. Weight handicapping of this kind is common throughout the entire world. The approach to allocating weights to Australian horses in normal day to day handicap events has recently changed. This article covers aspects of the new restricted race classes and the decisions made in their weight handicapping. But how did this all come about? Why did the system have to change? They say necessity is the mother of invention and no more so does this apply than for Australian horse racing. Again consider how long horse racing would exist if the best horse always won the race or there were so few top horses and many also rans? Horse racing in Australia was at some time in the past a maximum 4 or 5 days a week sport with a fairly leisurely one TAB meeting on most racing days with Monday, Friday and Sunday racing not quite taboo but a rarity. Today Australia horse racing is a 7 day a week, multiple meetings in most states 363 days of the year horse racing machine. Like many other sports, it went from being a sport to a business. We’ll call this the new system. Before the new system, there were two different types of meetings: TAB and non-TAB meetings with the despised non-TAB races having little coverage and mediocre runners at best. Suddenly the two different types of meetings, TAB and non-TAB became simply TAB meetings. All the horses running in very weak races were now eligible for higher prizemoney as a result of the burgeoning betting turnover. Night racing produced three or more meetings with often a smorgasbord of over 20 races in one state available for the average punter to digest. There was now a virtually unending supply of races and this left in many cases a gaping rift between the elite performers, the highly competitive types and the remainder of the horse racing population. It is as a result of this increased racing interest that changes have occurred in the handicapping methods used on Australian horse racing. The old restricted system of handicapping horses into various classes started out using terms like Maiden, Improvers, Progressive and so on to define restricted racing, I’ll call this the Improvers handicapping system. In this old system, a maiden race which still exists today was for horses that had not won a race (on the flat) of any kind. Beaten a short half head, 6 lengths or the length of the straight, a non-winner could run in a maiden. At the same time this same horse could run in any of the other classes, just less likely to actually run well. Once a horse won a maiden, the next jump up was into an Improvers class race, and if talented, up it went through the classes. The weakness of this handicapping system was that once a horse won at a level, there was no returning to a lower level. So if a horse won its first race in an Intermediate class (a higher class level), it could not run in the lower Improvers or Progressive classes – at any stage during its career. The next system introduced in the late 1980’s was what we will call the class system for restricted racing. This handicapping system consisted of six classes, class 1 to class 6. The class indicated the maximum number of wins a horse could achieve before being ineligible for that class. Or in simpler language, one more win than the class and you’re out!! This change occurred when research showed that most horses raced at the bottom end of the previous handicapping scale. So a class one race was available to horses having won none or one race. Once that campaigner had two wins on the scoreboard it was no longer eligible to run in class 1 races. The difference now was a horse could win its first race in a class 5 and still be able to run in a class 1, 2, 3, 4, 5 or 6. If it won a second race, it was limited to class 2 – 6 with class 1 no longer possible, and so on. This was a major improvement on the earlier Improvers system and although this class 1 – 6 system was expected to be phased out, it is still strongly integrated into the new restricted racing system. As more and more races were being run with greater exposure to a larger population of moderate horses, it became clearer that many horses made it out of maiden class and that was it. These horses were of limited ability and unable to win any higher class races and therefore had nowhere to go in their racing careers. In the past this type of horse would be retired to the pasture or gymkhana but with the greater need for horses to run in the never ending supply of races, retirement was no longer an option, not even for the most limited of charges. Now even the slowest, weakest conveyance had a race in which it too could shine as a winning chance. This was also hugely beneficial for owners who now could race even weak animals for prizemoney and often collect. One problem of this new system was that weak horses were very difficult to train and keep sound and as a result field sizes were ever dwindling. Today’s restricted class meetings invariably consist of maiden races making up half the day’s racing and during busy times even maiden fields are limited in size.